After bombing a Doctors Without Borders (Médicins Sans Frontières, MSF) hospital in Afghanistan — and shooting at terrified victims as they fled the chaos, and then attempting to cover up its role in the tragedy — the Pentagon is refusing to press charges against any of the 16 service members found to be responsible. “The 16 found at fault include a two-star general, the crew of an Air Force AC-130 attack aircraft, and Army special forces personnel, according to U.S. officials who spoke on condition of anonymity to discuss the internal investigation. Immediately following the attack, MSF — an international medical humanitarian organization — issued several statements with telling first-hand accounts of the madness that ensued during and after the repeated bombing. “Many staff describe people being shot, most likely from the plane, as people tried to flee the main hospital building that was being hit with each airstrike. Some accounts mention shooting that appeared to follow the movement of people on the run,” read one such statement from MSF. So flagrant was the targeting, MSF, and human rights groups around the globe intimated the U.S. was likely guilty of committing a war crime. In fact, that the 16 military servicemen responsible for the attack have been handed the equivalent of a wrist slap over the apparent mistake, it’s arguable whether the U.S. has taken full responsibility. That explanation, in itself, appears suspicious, considering, as MSF has repeatedly explained, all sides in any conflict where MSF operates are given precise GPS coordinates of their facilities — specifically to prevent such a grievous error. In fact, just prior to the Kunduz hospital bombing, MSF had resent those coordinates to the U.S. — from just outside the facility’s front door. 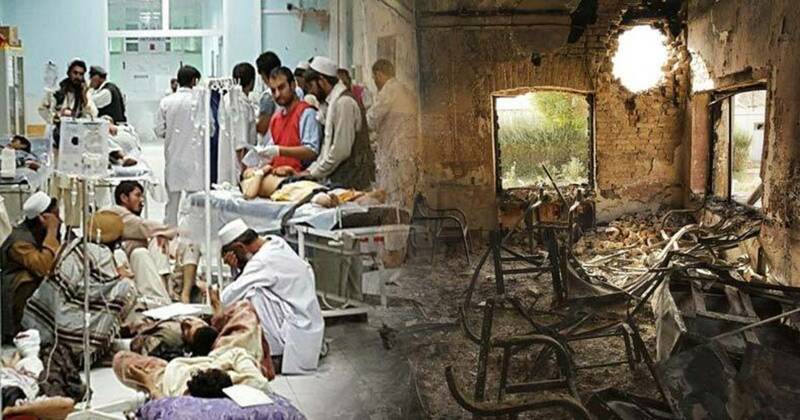 “The gravity of harm caused by the reported failures to follow protocol in Kunduz appears to constitute gross negligence that warrants active pursuit of criminal liability,” asserted Donna McKay, executive director of the nonprofit Physicians for Human Rights, in a letter to the White House cited by the Times. This investigation by the Pentagon appears to confirm its own statement in the matter but offers little in the way of accountability for the deaths of 42 volunteers and civilians, nor the trauma of their families and those who survived. Incidentally, the U.S. opportunistically and quietly took responsibility for the bombing in the wake of the attacks on Brussels, Belgium. MSF has decided to refrain from commenting on this latest report, pending an announcement by Gen. Joseph L. Votel, head of U.S. Central Command, slated for Friday. Some 3,000 pages of (likely heavily) redacted information from the Pentagon investigation will follow that official statement.